In Kentucky, there are more barrels of bourbon than there are people and horses combined. As you can guess, bourbon is kind of a big deal in Kentucky. The industry employs tens of thousands of Kentuckians, brings a ton of money into our state, and it makes for a good time. In 1998, the Kentucky Distiller’s Association put together the Kentucky Bourbon Trail. Over the years, the distilleries on the trail have changed. As of 2017, there are 10 distilleries on the trail that thousands of visitors flock to. Recently, I did the entire bourbon trail in 4 days. Keep reading to find out how it went and how you should do it. You might be asking yourself, “Why should I do the Bourbon Trail?”. 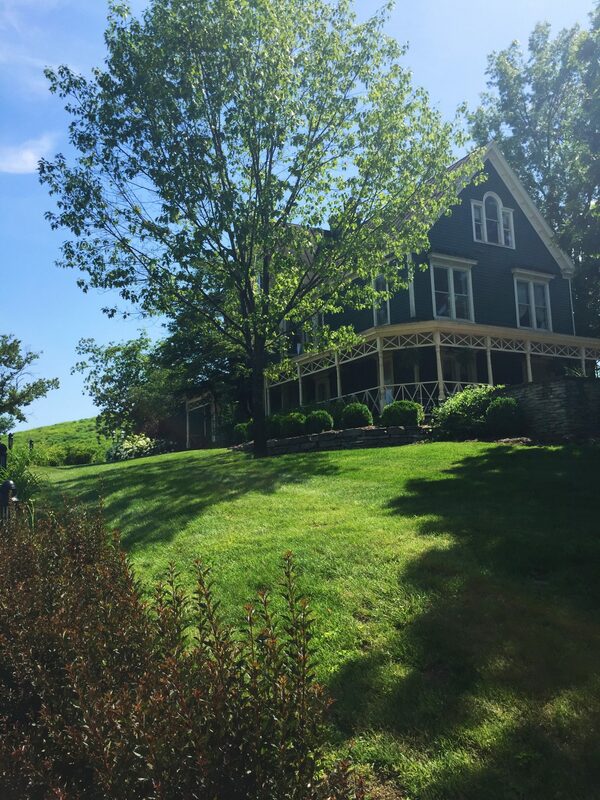 For one, you get to tour some of the most beautiful properties in the state of Kentucky. You also get to learn all about the distilling process and how each distillery does things a bit differently. At each distillery, you get to taste some of the finest bourbons each distillery produces (as long as you’re of legal age). Finally, you get a cool shirt from the Kentucky Distiller’s Association when you get your Bourbon Trail passport certified after visiting each distillery. One of the greatest things about the Bourbon Trail is that you can do it as fast or as slow as you’d like. If you live in Kentucky, it’s easy to visit one or two distilleries on the weekend whenever you want. Visiting from another state? No Problem! The entire trail can be done in 3-4 days, especially if you do one of the guided tours recommended by Kentucky Bourbon Trail. If you like to bike, good news! There is a bike trail for the Bourbon Trail which lets you pedal through the Central Kentucky countryside. Basically, it’s easy to travel the trail no matter which way you want to go. Being a Kentucky native, I decided to drive our little group around the trail. Before you go, make sure that the distilleries are going to be operating! Typically, they shut down for a few weeks in the summer and production halts on the weekends at several of the distilleries. Also, make sure you know each distilleries policy on shoes, as some insist on closed-toe shoes only. Be prepared for heat, as many of the buildings on the tours are not climate controlled! Finally, I recommend booking tours in advance, especially if you’re planning on doing multiple distilleries in one day, as tour sizes are usually small and tend to fill up quickly. 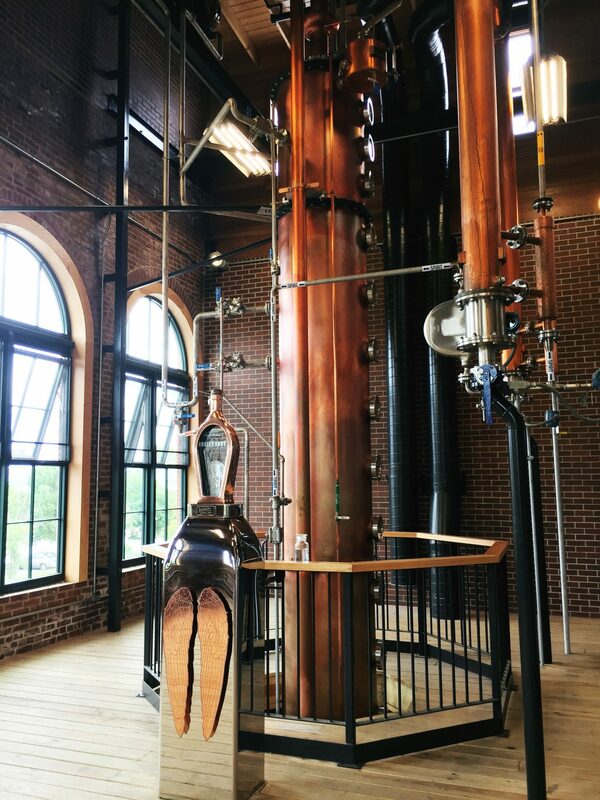 The newest distillery on the Bourbon Trail is Angel’s Envy. Located in Louisville, Angel’s Envy opened up to tours in November of 2016. The entire distilling process takes place in their building by the river, with their aging taking place off property. Angel’s Envy has one of the prettiest still rooms on the Bourbon Trail (pictured above). At the end of the tour, you taste Angel’s Envy signature bourbon straight up, with ice, and paired with an orange chocolate. Tours cost $15 and tour sizes are limited, so be sure to book ahead online. Founded in 1987, Bulleit Frontier Whiskey has left it’s mark on the bourbon industry and Kentucky. Bulleit purchased the historic Stitzel-Weller Distillery, which had been producing bourbon in the state since Derby Day 1935. At Bulleit Frontier Whiskey in Louisville, you tour the experimental distillery, rickhouse, a mock cooperage, and the office of owner Tom Bulleit. 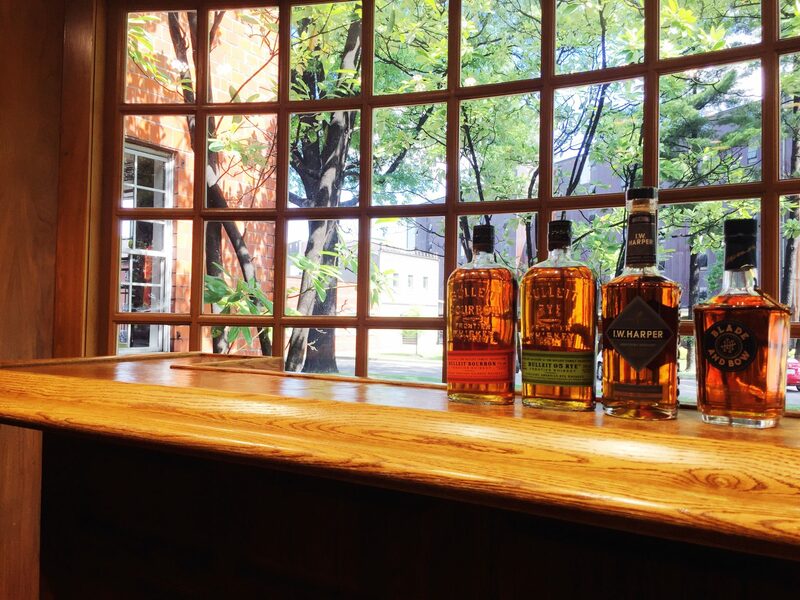 At Bulleit, you get to sample the high-rye Bulleit Bourbon, Bulleit Rye Whiskey, I.W. Harper, and the incredible Blade and Bow. Tours cost $10 and begin at 10 AM each day. Find out more information here. 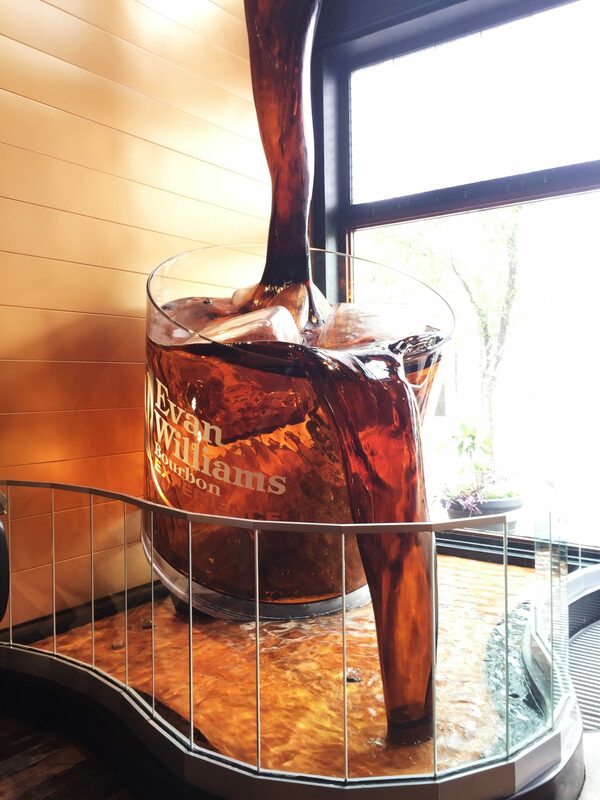 The Evan Williams Bourbon Experience chooses focus the bulk of the tour on the history of distilling in Louisville, rather than the actual distilling process. At Evan Williams, you will learn about the contributions distilling had on the growth of the city, see their small, craft distillery, walk through replicas of what Whiskey Row looked like in the past, and sit down for a tasting. Here, you sample Evan Williams Black Label, Evan Williams Bottled-in-Bond, and Evan Williams Red Label, which is incredibly hard to find. Tours cost $12/person 21+ and can be booked here. Founded in 1888, Four Roses has one of the most versatile histories in the bourbon industry. Built in 1910, the current distillery is on the National Register of Historic Places. Here, you taste Four Roses Yellow Label, Four Roses Small Batch, and Four Roses Single Barrel bourbons. The best part of the tasting is that you get to keep the glass that they have you taste out of. The tour currently does not include the distillery, as it is under renovation for the next year or so. You can still tour the warehouse and bottling facility, located in Cox Creek, using the same ticket as the distillery in Lawrenceburg. Tours cost $5 and run from 9 A.M. to 3 P.M. most days. More information on tours can be found here. I’m going to be straight with you here, Heaven Hill is my least favorite distillery on the trail. The visitors center (pictured above) is stunning, but the property is not. That being said, their tasting room is pretty cool and they’re located close to several other distilleries on the trail, so you should stop in and check them out. Tours at Heaven Hill are $10 per person. Definitely plan ahead before going, as tour sizes are small and operating hours are strange. Information on their hours can be found here! Like Four Roses, Jim Beam has two locations: the main distillery and then an “urban stillhouse”. 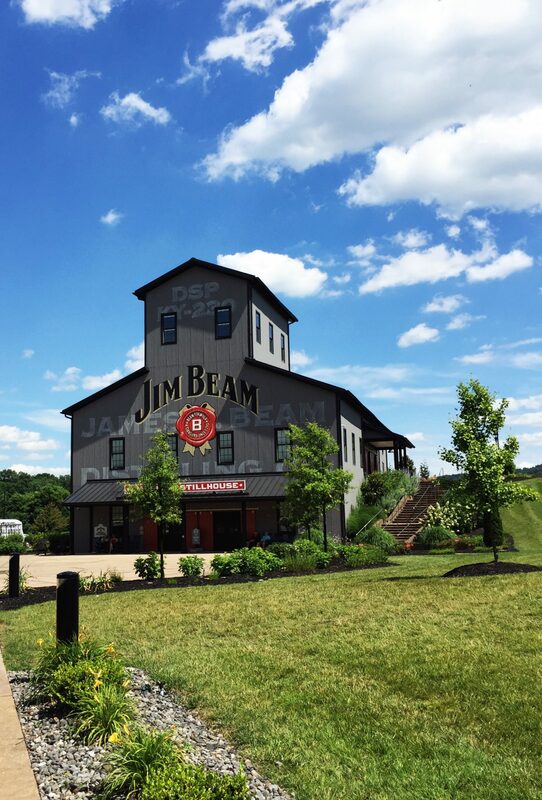 I recommend visiting the distillery if you’re only wanting to visit one Jim Beam location. At the main distillery, you get to see one of the largest distillery operations in the state of Kentucky, walk through one of the warehouses and see cool barrels of bourbon (like Mila’s! ), and choose three of their bourbons or flavored whiskey’s to try in the tasting room. After the tasting, you get to keep your glass. 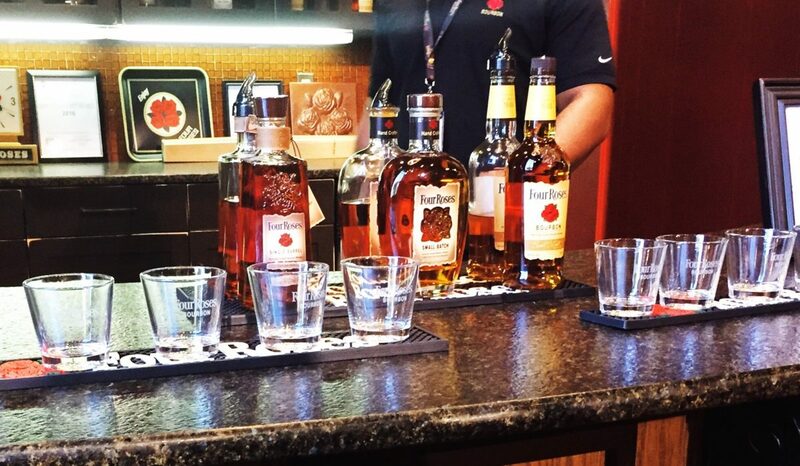 You can add on Jim Beam signature cocktails to any tour that you claim at the Bourbon Bar after tasting. If you’re hungry, there is a BBQ restaurant on property where you can grab lunch. Tours last about an hour and a half, cost $14, and can be booked here. Maker’s Mark is, in my opinion, the prettiest distillery on the trail and has one of the coolest tours. On the tour, you get to see the distillery, warehouse, printing and labeling, bottling, the world’s first bourbon cave, and artwork commemorating decades of quality bourbon production. My favorite part of Maker’s Mark is that they celebrate Margie Samuels, one of the biggest women in the industry, every chance they get. At Maker’s Mark, you get to sample 5 bourbons: Maker’s White, Maker’s Mark, Maker’s 46, Maker’s Cask Strength, and Maker’s Private Select. After your tour, head to the gift shop to hand dip your very own bottle. Follow the directions to the front entrance of the property, otherwise your GPS might take you through the back entrance that requires driving down one-lane, windy country roads. Tours are $12 per person over 21. For information on visiting, check out their website. One of the newer distilleries on the Bourbon Trail is Town Branch. 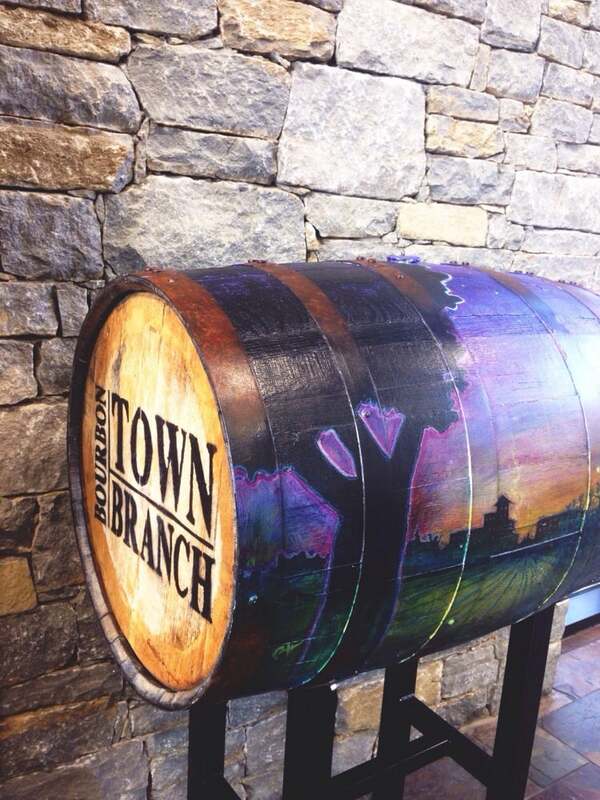 Town Branch is part of the Alltech Lexington Brewing and Distilling Company in (you guessed it) Lexington. The tour takes you through the Kentucky Ale brewery and Town Branch distillery, allowing you to choose any combination of four bourbons and beers in the two different tasting rooms. The distillery itself is one of the smallest operations on the trail and takes right at an hour to tour. Tours are $11 per person and can be booked here. There’s a good chance you’ve heard of Wild Turkey because of the recent Matthew McConaughey campaign or their appearance on Ghost Hunters. 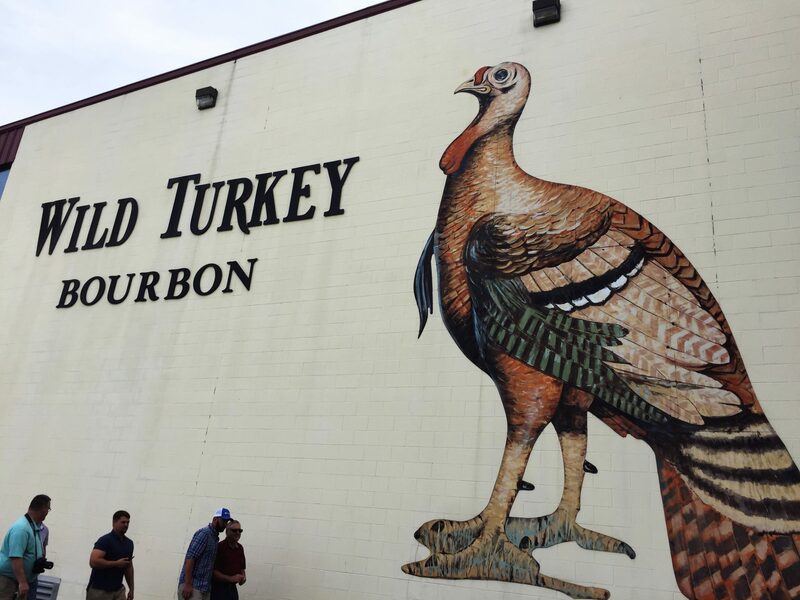 Located in Lawrenceburg Kentucky, Wild Turkey has some fun photo ops, like the turkey mural (pictured above), bourbon barrels decorated as horses, and the copper decor of the tasting room. At the end of the tour, you get to sample four bourbons and take home an awesome glass. The visitors center has a huge wall dedicated to the history of bourbon production on the grounds and offers a stunning view of the Kentucky River. Tours start at $10 per person. Information on visiting Wild Turkey can be found here. Situated between two horse farms in the rolling hills of Versailles, visitors to Woodford Reserve get to see the two things Kentucky is most famous for: bourbon and horses. 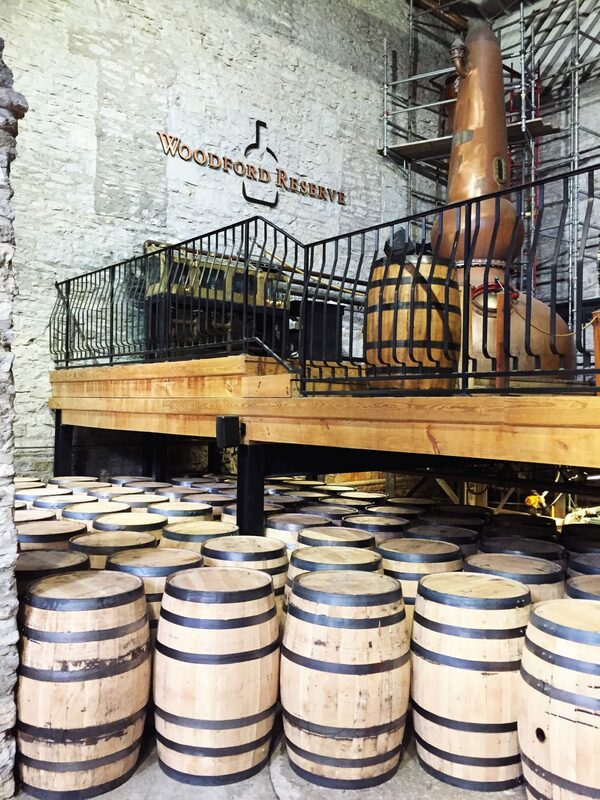 At Woodford Reserve, you tour the distillery, warehouses, and bottling, all while focusing on how Woodford Reserve gets it’s flavor. During the tasting, your guide walks you through the different bourbons, focusing on bringing out all the different notes of flavor in Woodford Reserve. Tours cost $14 per person and can be booked here. 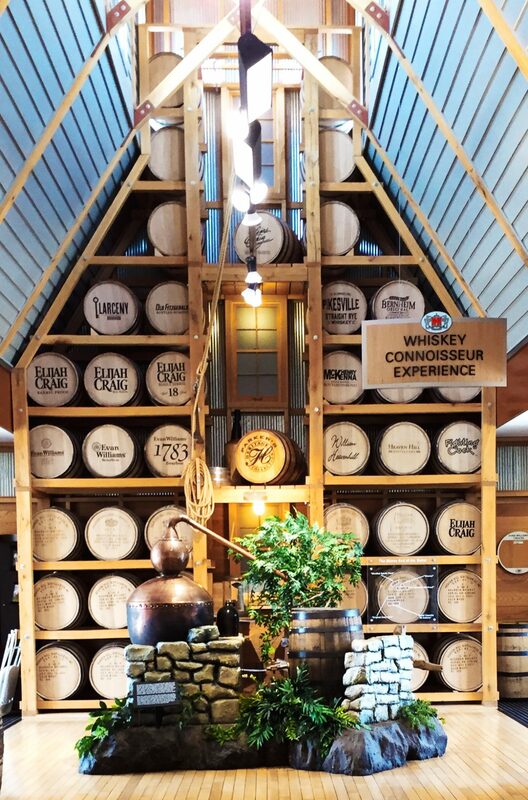 While the Kentucky Bourbon Trail takes you to 10 of the distilleries in the state, there are a whole lot more worth visiting, many of which let you tour for free! Barton 1792 Distillery is a large distillery located in Bardstown, Kentucky. Barton 1792 offers three separate free tours of the property; information on these can be found here. Family owned since 1936 in Bardstown, Willet’s Distillery offers $12 tours, which include a souvenir glass and can be booked here. 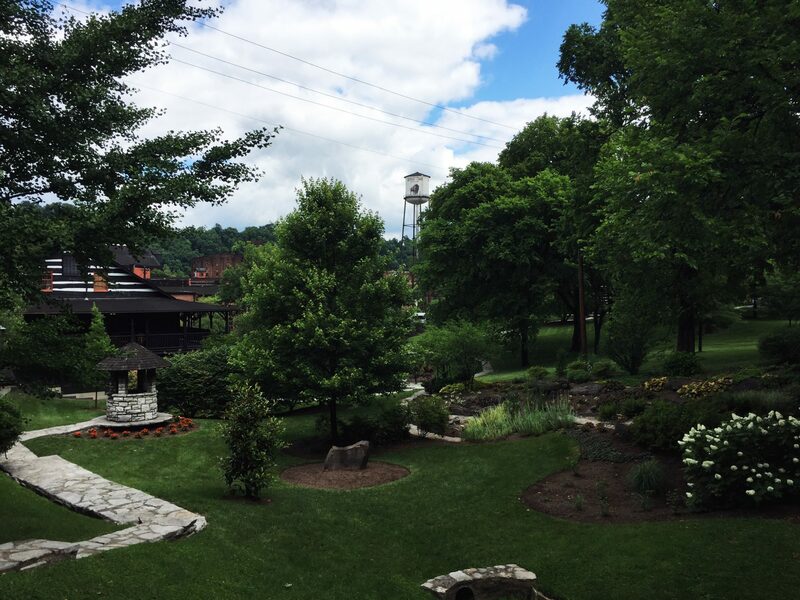 If you can only every visit one bourbon distillery in your life, visit Buffalo Trace Distillery in Frankfort. Situated on over 400 acres, Buffalo Trace has the world smallest aging warehouse, a self-guided walking tour of the grounds, and a free tours of the distillery, warehouses, bottling, and tastings. A few times a week, they offer ghosts tours, which takes you into some of the haunts visited by Ghost Hunters. Information on visiting Buffalo Trace can be found here. 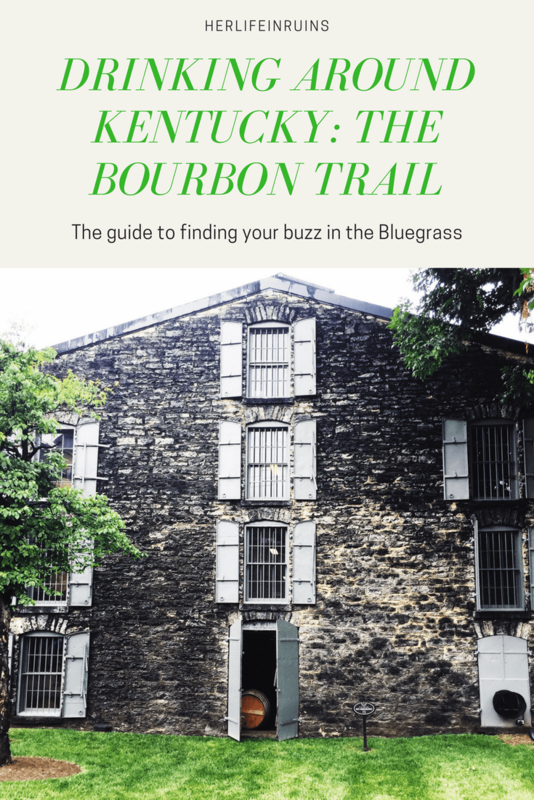 While exploring the Kentucky Bourbon Trail, check out some of the other awesome trails in Kentucky. These trails are handy because many locations on the trails are still open after the distilleries close. Many craft bourbon distilleries have popped around the state to cater to making bourbons that fit niche flavor profiles. The Craft Bourbon Trail takes you to some of these distilleries and around a larger part of the state. If you’re in the mood for beer and want to explore more of the Lexington area, check out the Brewgrass Trail, which takes you to 12 different micro-breweries. Finally, the Ice Cream Trail takes you to six different homemade ice cream shops across the state and get your sugar fix. What are you waiting for? Get started planning your trip to Kentucky and prepare your palate for the delicious drinks you’ll find in the heart of the Bluegrass.